(Photo Courtesy/Carl Krueger) Carl captured this picture of a snowy owl perched on top of a utility pole. Today’s ‘Photo of the Day’ was sent in by Carl Krueger. 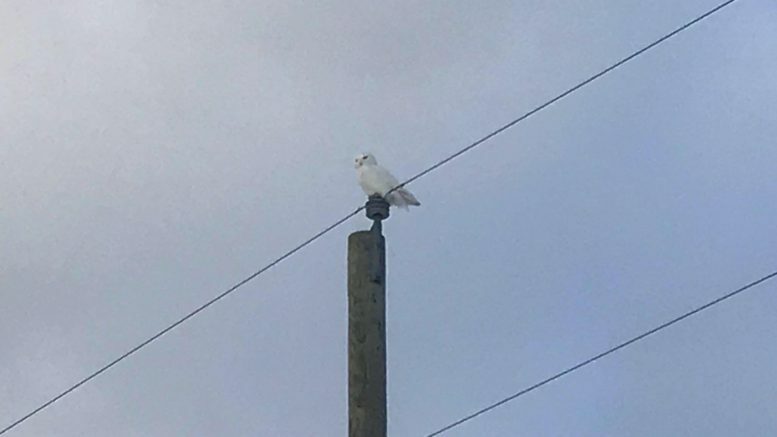 Carl snapped this picture of a snowy owl perched on top of a utility pole in Herron. If you have a photo that you would like to send us, email news@wbkb11.com.